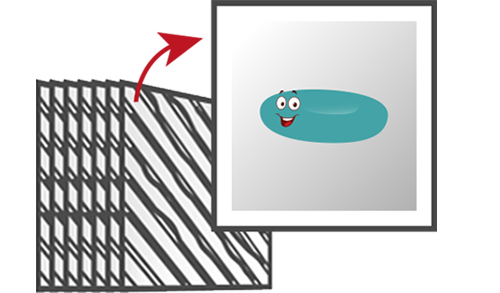 STEVE is the 3D Cell Explorer’s software counterpart. After the series of holograms has been captured by the hardware, high-resolution images of each plane in the sample are created by computer processing. Improved image resolution is achieved by employing a synthetic aperture and multiple-viewpoint-holographic methods. 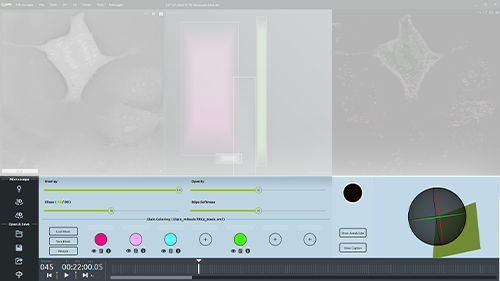 STEVE’s intuitive interface controls the microscope, explores live cell data using interactive digital staining and even performs quantitative analysis on cell measurements. STEVE to runs smoothly, even during acquisition. 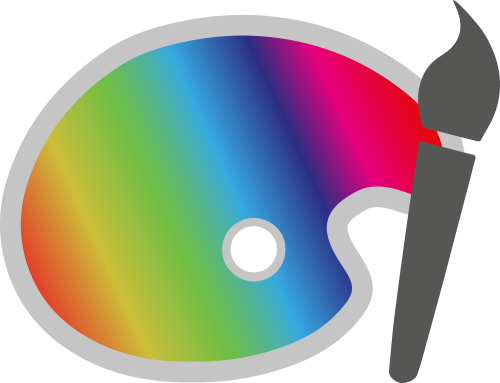 Download our Best Staining Practices now! The microscope registers one hundred holograms per rotation. The holograms are raw data which are incomprehensible for the user. 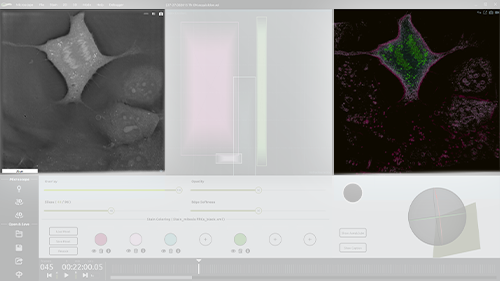 Nanolive’s processing technique, based on complex deconvolution, treats this data and displays a comprehensible 96 z-stacks cell image in grey scale every two seconds. Furthermore, it corrects for many imaging errors that otherwise would require extremely expensive optical components and ultra-precise alignment. STEVE allows for the acquisition and processing of cell data in real-time. Explore your data in 3D using our interactive digital stains and even perform quantitative analysis on your measurements. STEVE’s intuitive graphical user interface has been specifically conceived for fast learning. 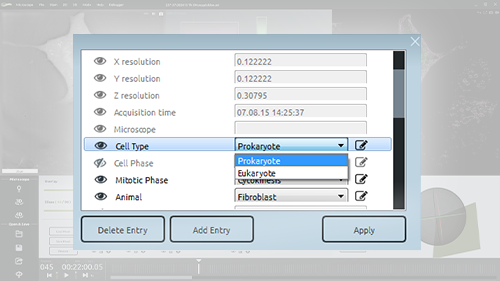 All options and commands necessary for acquiring and staining images are displayed on the main screen. Download and try the demo version of STEVE now! Hard disk: 150 MB free space for STEVE and 250 MB for extra sample data. 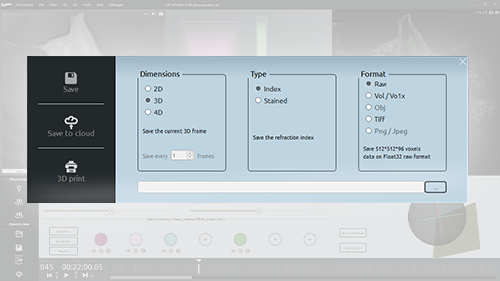 Watch the video tutorial at the top of the page and download the Getting Started document. You are a customer? Download the full version of STEVE here.